We have established ourselves as one of the renowned organization bringing forth superior quality Copper Lighting Arrester. Used on electrical power systems, these products provide protection of the insulation from the damages that may be caused due to lightning. A number of residents and industries install these arresters. The current from the surge is diverted to earth around the protected insulation. Copper Lightning Arresters are widely used through the world for the earthing purposes of various types of construction. We are one of the major stockists/wholesalers for the Copper Lightning Arresters. We have catered to many industries through our continuous supply of best quality Copper Lightning Arresters. 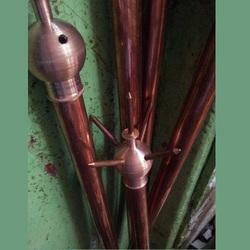 We can also provide the Copper Lightning Arresters as per the specification is given by the customer. 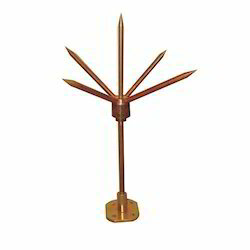 Looking for Copper Lighting Arrester ?